The Halieutic Sciences Insitute (ISH) and the IUT of the University of Douala, in collaboration with the LEGOS (Laboratoire d’Etudes Géophysique et Océanographie Spatiale) and the LA (Laboratoire d’Aérologie) and with the CIPMA (Centre International de Physique et Mathématiques Appliquées de l’Université Abomey Calavy), organize an international training course on “Modelling of Coastal Oceanography“, with the participation of a regional research network (Benin, Cameroun, Congo, Republic of Côte d’Ivoire, Gabon, Nigéria, Ghana) in May 2015. This training workshop aims at training the future trainers in regional and near-shore modelling techniques, notably on the numerical models and associated tools of the SIROCCO platform. The french research institutes involved in this training course are CNRS, IRD, UPS and OMP. 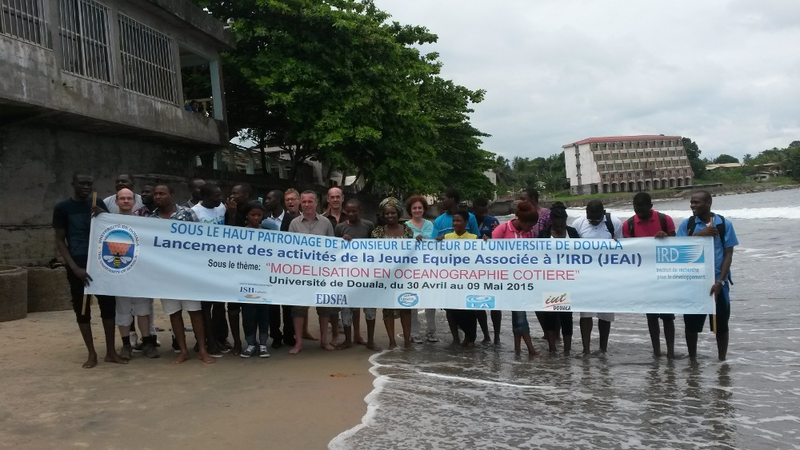 The training course has been held from 4 to 9 May 2015 in Douala. A report of the nice experience is in preparation!